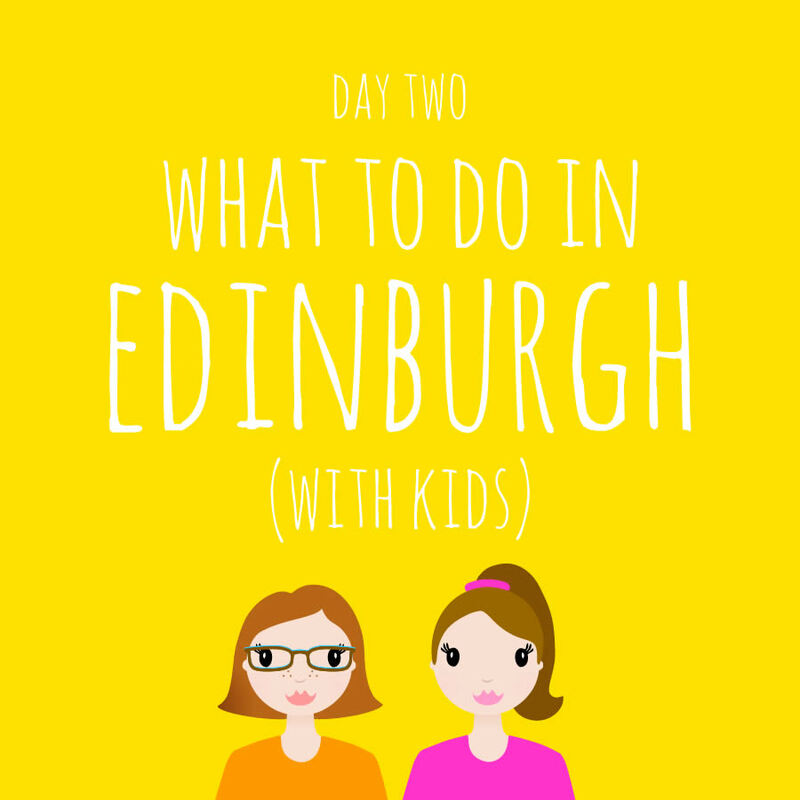 Here is what we got up to on Day Two of our few days in Edinburgh. The second day of our trip was a particularly special day for a couple of little people in our family, but we will get to this later on. First of all, after a massive breakfast, off we went down the Royal Mile towards the Scottish Parliament. We had planned a visit to Dynamic Earth, an attraction where you take a journey through time to witness the story of planet earth. 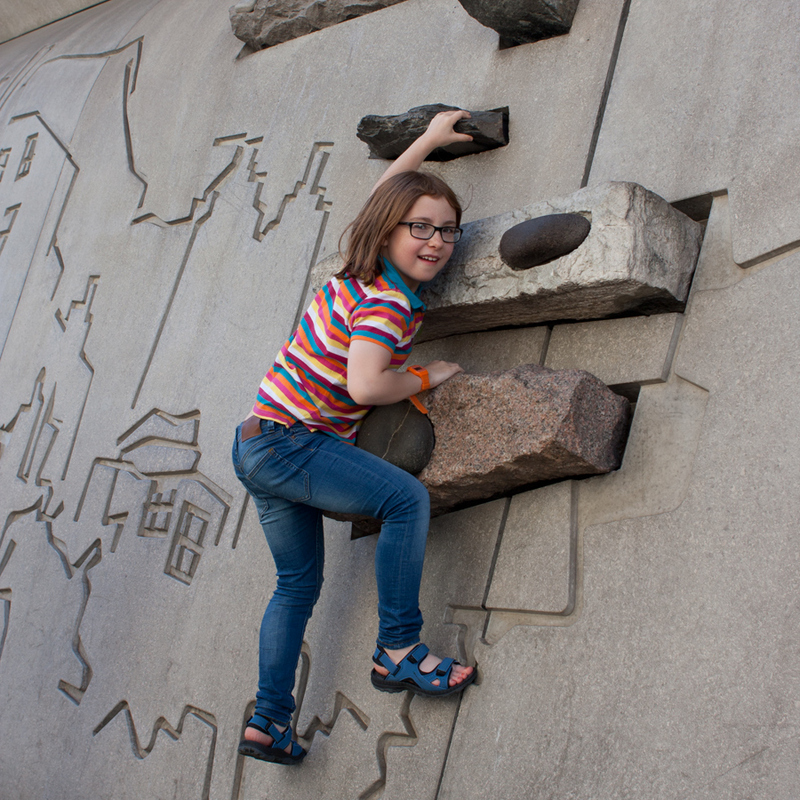 But on the way we were a little bit sidetracked by how cool the walls of the Scottish Parliament were for climbing. As you can see my little rock climber thought it was fantastic! Not to be outdone, my little gymnast also found some great stones to do some handstands on. We finally managed to drag them both away and continue on to our destination. 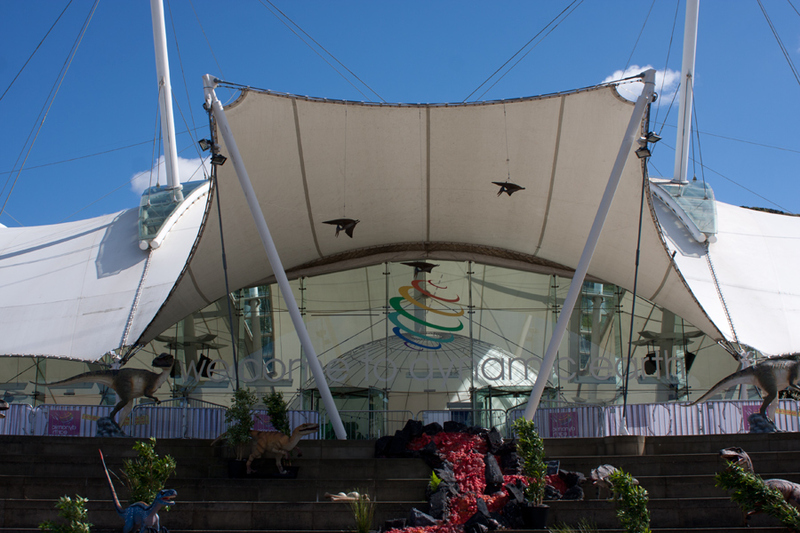 Dynamic Earth is situated just next to the Scottish Parliament and Holyrood Road, which is about 15 minutes walk from the city centre. It costs £40.50 for a family of four and you can happily spend about two to three hours there. The attraction has a 360 degree full dome film theatre and loads of interactive exhibits. 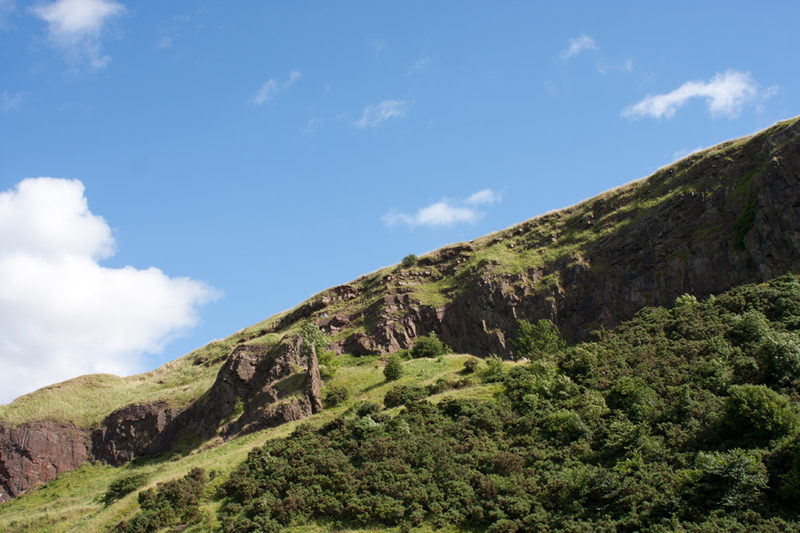 Here is a photo taken just outside Dynamic Earth, looking towards Holyrood Park. It just proves what lovely weather we had while we were there! 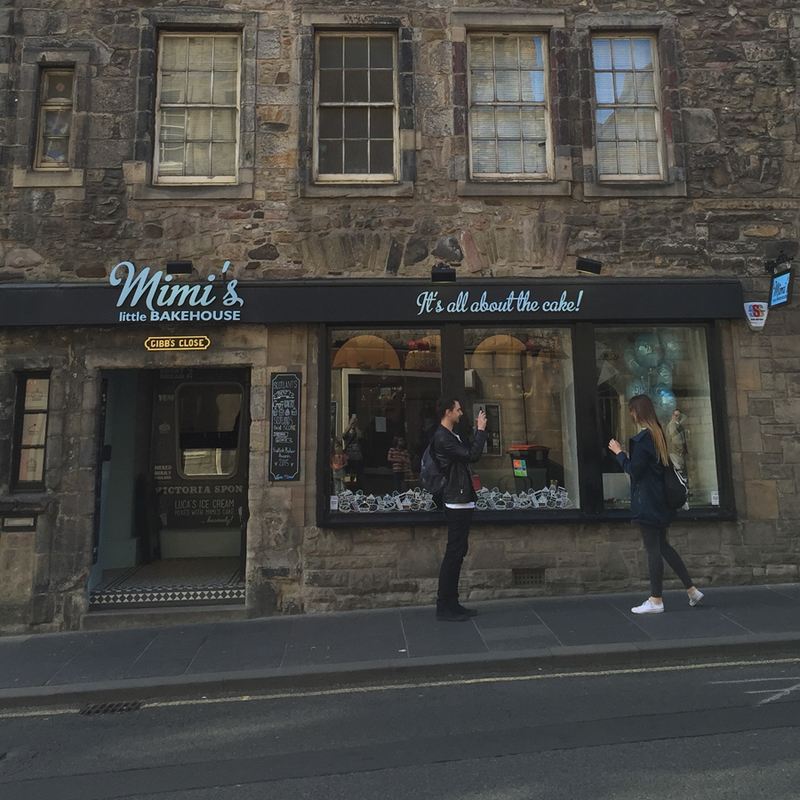 Everyone was now getting a bit hungry and we had noticed this fab looking bakery on Canongate, called Mimi’s Little Bakehouse. As I mentioned earlier, this day was a special day; a twin 10th birthday!! So there was no better excuse for…..cake for lunch! The huge slices of delicious gooey cake were put in these really smart cake boxes. 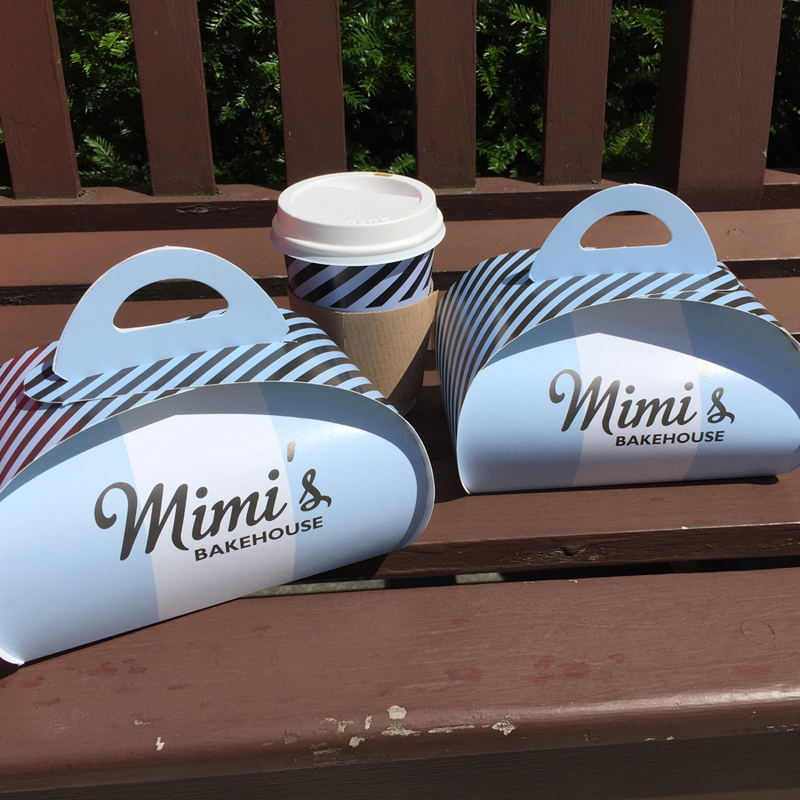 So we carried them, with their cute little handles, to find a bench to sit on to eat our (birthday) cake. 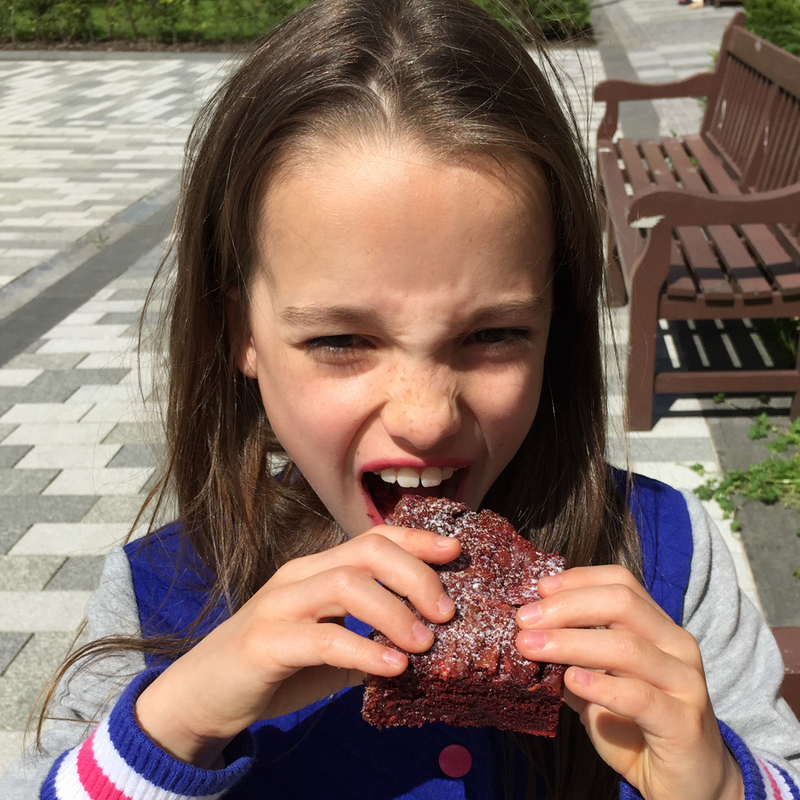 Here is birthday girl number one, tucking into her red velvet brownie. 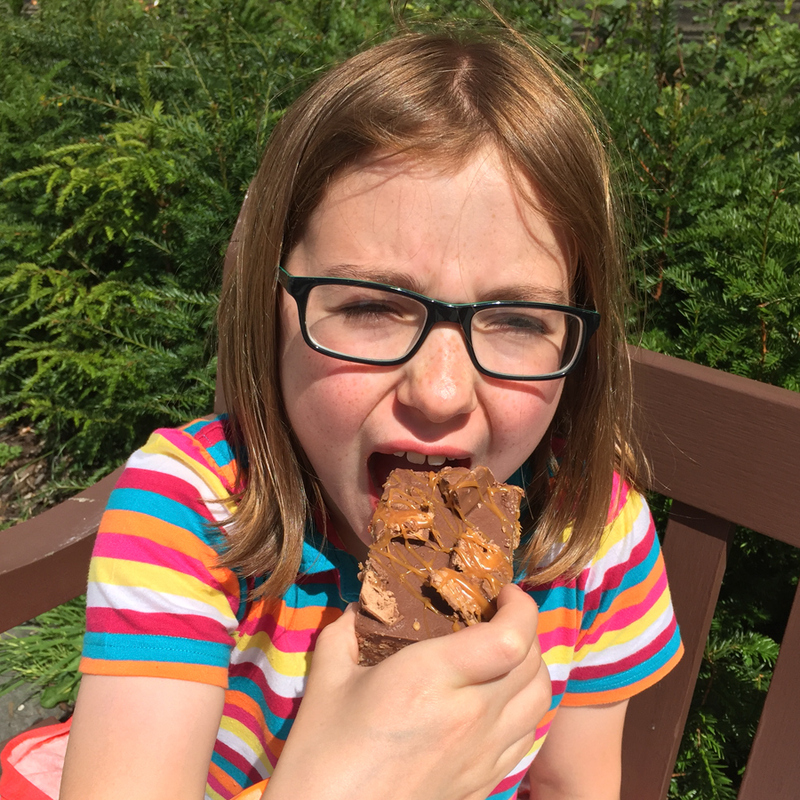 And here is birthday girl number two, demolishing her sticky mars bar cake. 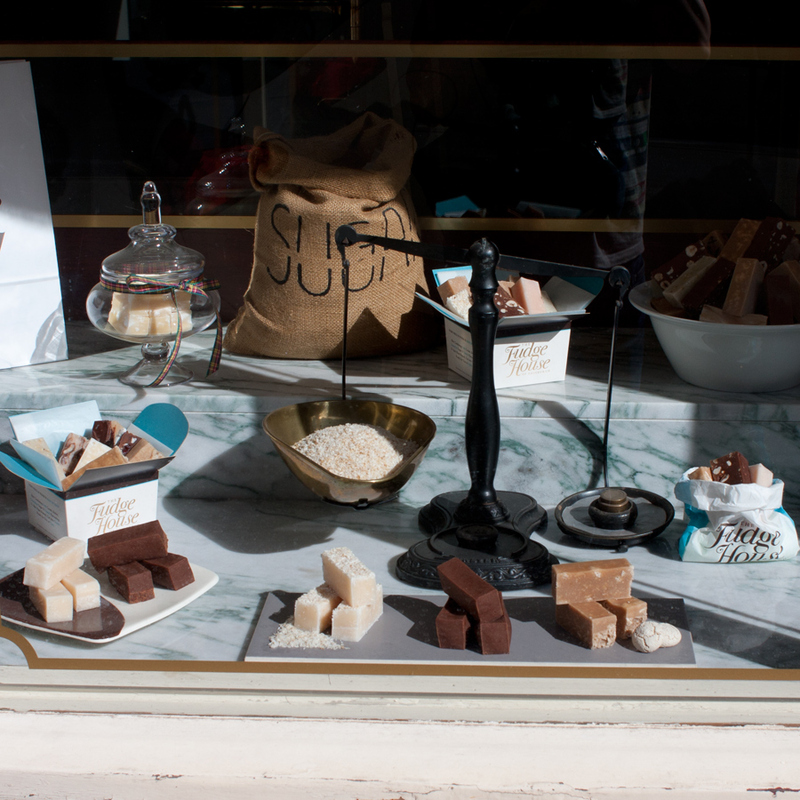 As if cake for lunch wasn’t bad enough, we also discovered a fantastic fudge shop on Canongate, called The Fudge House. There were so many delicious flavours, it was very difficult to choose! Needing to recover slightly from our sweet overindulging, we decided to go on a sightseeing bus. If you choose the City Sightseeing Bus Tour they have a Horrible Histories commentary for the kids, so that makes the tour much more fun for the children. 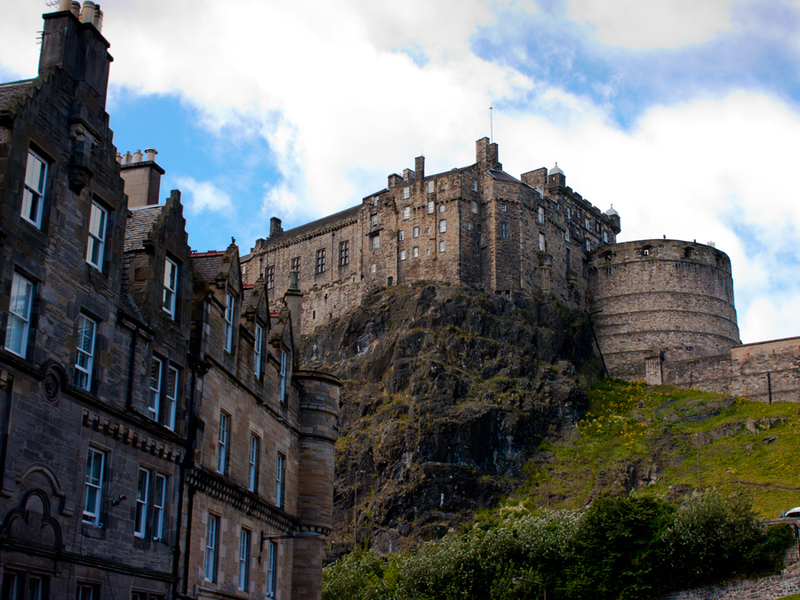 The tour departs from Waverley Bridge, lasts about an hour and costs £36 for a family ticket. 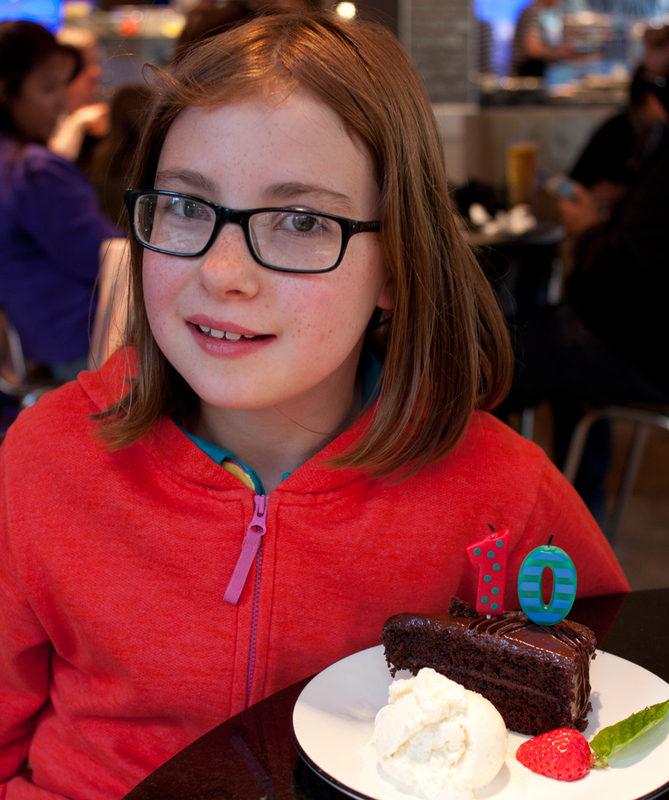 After a fun-filled day we still had more birthday celebrations to come, a meal at Pizza Express, on George IV Bridge. After a gorgeous pizza, it was time for more cake, this time chocolate fudge cake. 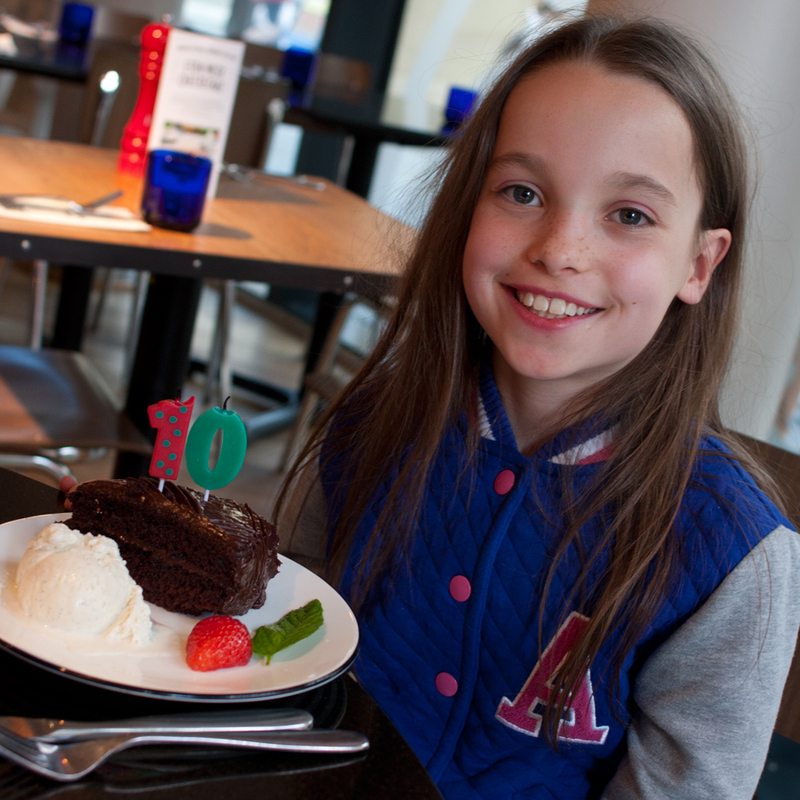 We brought ’10’ candles to put on their cakes and the waiters happily lit them whilst singing ‘Happy Birthday’! On arriving back at the hotel, they had put some birthday balloons, two birthday cards and two small gifts in our room…..guess what, some fudge!! 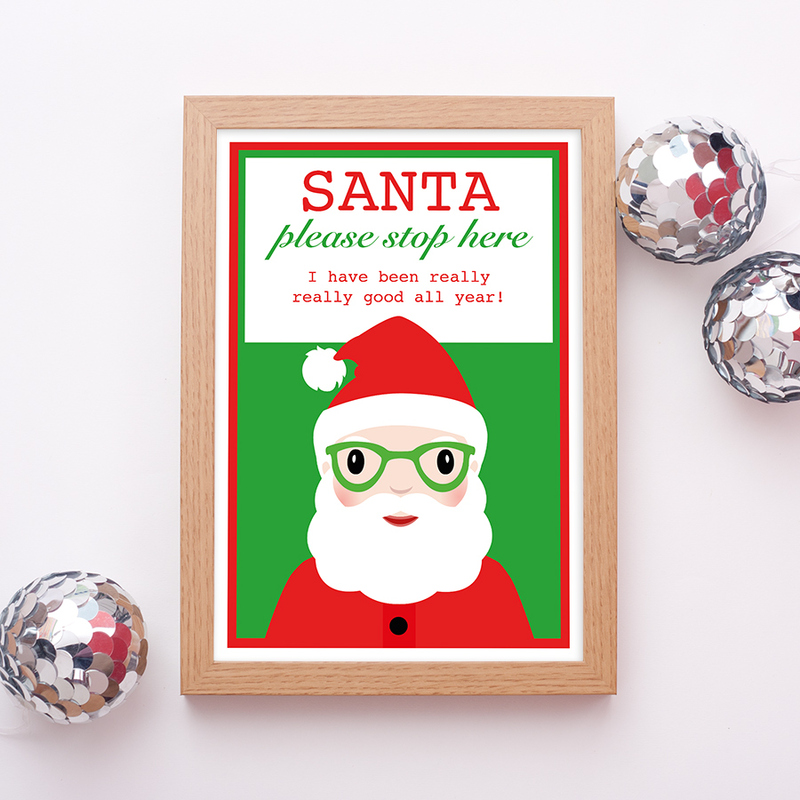 Watch out for Day Three, coming soon! And don’t forget to catch up with Day One.